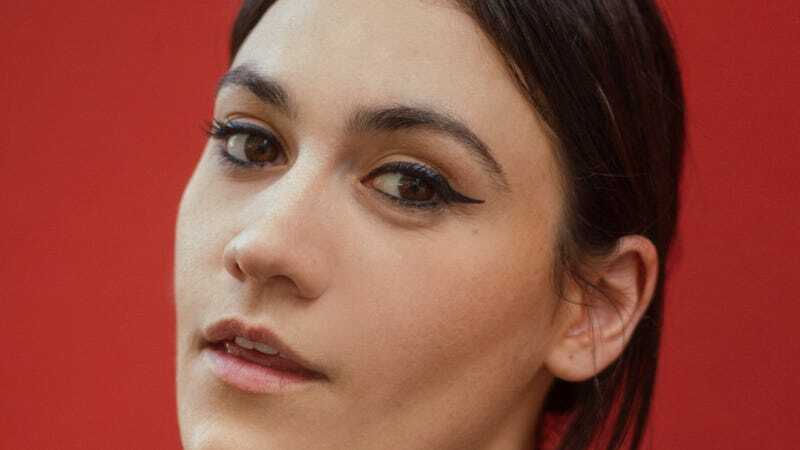 English singer-songwriter Nadine Shah’s Holiday Destination is a churning, post-punk lament to which anyone struggling to adapt in this tumultuous new world order can relate. On her third LP, Shah displays the patience to let an idea stew. And she’s not moving on until she’s sufficiently chewed it over, swished it around her mouth, and dragged her tongue across her front teeth. Shah’s main target is the last, politically fraught calendar year—a time when terrorist attacks flared, refugees were turned out from their homes, and a nationalist fever swept the free world. The catharsis of her thundering rhythms has never felt more essential. On 2015’s Fast Food, Shah labored over a bad romance in a haze of psychedelia. Here, she armors her political statements in radio-friendly sound. In the night terrors of the title track, Shah torches vacationers who complain about refugees bringing their suffering onto their pristine Greek beaches, hauntingly singing, “How you gonna sleep tonight?” On “2016,” she channels Paramore’s Hayley Williams, albeit with a shrill twang. Her soulful vocals cut through a dreamy background obscured with fuzz on “Yes Men.” She takes a jazzy turn on “Relief,” showcasing her range and a needed jolt of whimsy, preparing for the next onslaught with the war-beat backbone and violent horn interjections of “Out Of The Way.” Shah reportedly referenced both the Talking Heads and Fela Kuti during the recording, and it shows in the frantic rhythms and blistering horns that dominate. It all comes to head on the simmering “Evil,” where Shah, over a delirious flurry of beats, proclaims, “All these folk they think that I’m evil / Like I’m the living devil himself.” Hers is a call to arms, a stark reminder of the work spanning the oceans that’s still yet to be done. Purchasing Holiday Destination via Amazon helps support The A.V. Club.